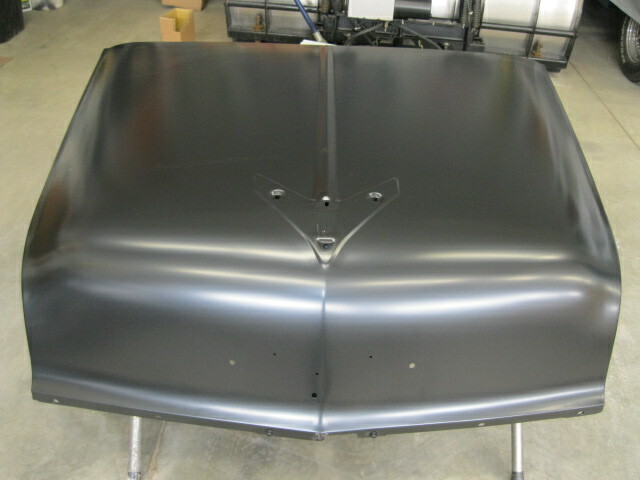 The 1956 Chevy New Reproduction Steel Hood is here! After many years of waiting, they have finally arrived. This is a premium part with all the braces. Please call us if you have any questions. Pickup at my store & save the freight charge. OVER STOCK SALE WHILE 3 LAST-ONLY 500.00 EA. Shipping Notice: This is a truck freight item that ships separately from standard parts. An additional charge of $200 flat rate shipping will be added to the order, due to the nature of freight delivery.